Undoubtedly, “The House of the Rising Sun” is one of the most famous songs ever written. It became popular thanks to the British rock band the Animals, but before that happened, there is a huge story-line to be tackled. Originally a traditional folk song, “The House of the Rising Sun,” also known as “Rising Sun Blues,” tells of life in New Orleans, back in the day when poverty was the fate of many people. Like the majority of classic folk ballads, the authorship of “The House of the Rising Sun” is tricky and uncertain. Musicologists say that it is certainly based on the broadside ballad tradition; a type of ballad which differentiated from traditional ones. They were popular between the 16th and the 19th century and unlike the traditional ballads, which were more epic in nature, they spoke of love, religion, legends, and wonders, and some were even drinking songs. The ‘broadsheet’ contained the lyrics of the song, along with the name of some popular tune that would match with the lyrics. In the case of “The House of the Rising Sun,” the theory is it resembles “The Unfortunate Rake,” a 16th-century folk song which over time has evolved into a huge number of variants. The earliest known variant of “The Unfortunate Rake” laments over a young man dying of syphilis. Other variants lament over the fate of young soldiers, sailors, cowboys, or maids, all of whom had lost their life too early. According to Alan Lomax, a distinguished American collector of folk songs of the 20th century, “Rising Sun” was used as the name of a bawdy house in two traditional English songs, as well being used for pub names across England. He also suggested that the ‘location of the house’ changed from England to New Orleans by white southern performers. Other sources suggest that the “Rising Sun” originated from France, and referred to a decorative use of sunburst insignia dating all the way back to Louis XIV; it could have been brought to North America by French immigrants. There are also further unconfirmed implications of “The Rising Sun” being related to other folk songs, one of which, is the folk song “Matty Groves”. One thing is clear, that the original “The House of the Rising Sun” is older than New Orleans itself, as the city was founded in 1718. Its lyrics were also varying and different than the one we are familiar with today. During the 1930’s, the first recordings of the song started to appear. The earliest known recording was released by Appalachian artists Clarence “Tom” Ashley and Gwen Foster. Their title was “Rising Sun Blues”. On a further note, Alan Lomax, along with his father, curated the Archive of American Folk Songs for the Library of Congress. As part of their job, they worked on the field and were able to record a number of performances of the legendary song. In 1937, Alan produced a recording by the American folk singer, Georgia Turner. Her version of the song, entitled “The Rising Sun Blues” became the standard. This was the ancestor of hundreds of covers that were later on released by numerous performers, included Dave Van Ronk, Bob Dylan, Joan Baez, and of the course The Animals, who first helped the song become a worldwide hit. The Animals version made the folk song a number one hit in the UK, France, and the USA. As it was a traditional song recorded by an electric rock band for the first time, music critics regarded it as the “first folk-rock hit”. 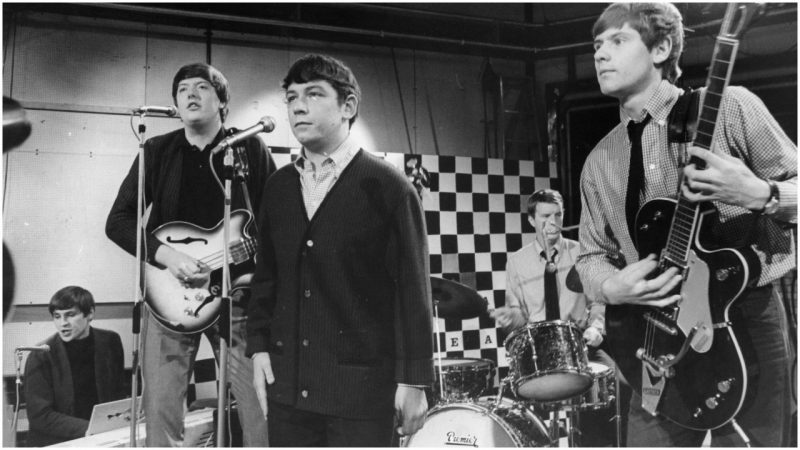 The American music critic and radio talk show host Dave Marsh would comment that the version by The Animals was “as if they’d connected the ancient tune to a live wire”. BBC writer Ralph McLean would also note on the 1964 release that is had been “a revolutionary single” after which “the face of modern music was changed forever”. This entry was posted in ART, BUSINESS, History, Music., Travel, USA, World and tagged History, Music., New Orleans, The Animals by rolyred. Bookmark the permalink.